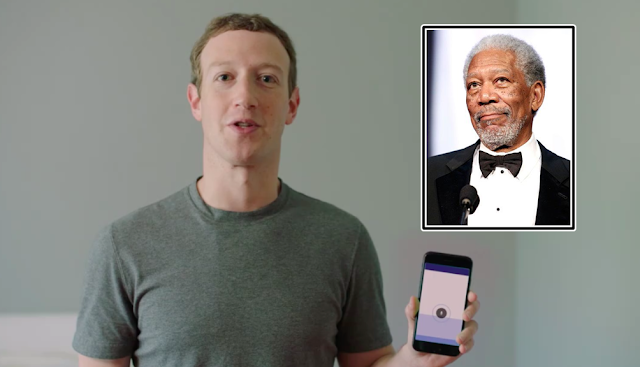 Looks like Tony Stark isn’t the only one who has an Artificial Intelligence assistant named Jarvis, Facebook creator Mark Zuckerberg has one too – and the AI is voiced by none other than actor Morgan Freeman! Back in January, the Facebook founder announced his plans to create the AI to run his home and help with his work, and he certainly isn’t joking. “My personal challenge for 2016 was to build a simple AI to run my home -- like Jarvis in Iron Man,” Zuckerberg posted a statement on Tuesday, 20 December 2016. Inspired by Tony Stark’s Jarvis AI from the “Iron Man” movies, Jarvis is very similar to Amazon’s Alexa which can be activated by voice and able to connect with and control various objects in the house. The 32-year-old genius posted a humorous video on his Facebook page yesterday, showing his homemade Jarvis AI assistant in action. In October, Zuckerberg asked the Facebook community to give suggestions on who should voice the AI and Robert Downy Jr who plays Tony Stark in “Iron Man” immediately volunteered. “I’ll do in a heartbeat if Bettany gets paid and donates it to a cause of Cumberbatch's choosing...that's the right kind of STRANGE!” he commented. However, Zuckerberg decided to go with the majority who voted for the “Voice of God”, Morgan Freeman. After calling and asking Freeman to take the job, the actor agreed immediately, but there is no mention on whether there’s any financial element to Freeman’s participation. “My goal was to learn about the state of artificial intelligence -- where we're further along than people realize and where we're still a long ways off. These challenges always lead me to learn more than I expected, and this one also gave me a better sense of all the internal technology Facebook engineers get to use, as well as a thorough overview of home automation,” he added.